Nightmare began in January 2000 by Sakito and Hitsugi while most of the members were still in high school. Soon, Yomi was invited by Sakito, Ni-ya by Hitsugi, and Zannin joined after they heard their classmates were forming a band. 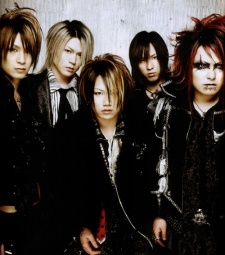 They were all influenced by either X Japan or Luna Sea in some form. Most of their songs have a heavy metal element with a heavy bass line, tricky rhythms and changes in melodic keys. Although their recent songs have a slight avantgarde/alternative element (this is prominent especially in their "anima" album), the band has still kept its roots from their indies' days. They have also experimented with jazz, ambience, electronica, techno and bossa nova styles of music. Even though most of their songs are fast tempoed, they have written a fair amount of rock ballads as well.